Alaska Gov. 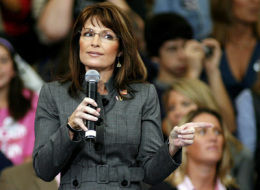 Sarah Palin attacked Barack Obama Thursday for not being honest about his association with 1960’s radical William Ayers. Palin blamed the media for not providing what she characterized as the same level of scrutiny to Obama that it has applied to her and running mate John McCain. This is simply outrageous. They count on the fact that their supporters rely heavily on two sources for their information, them and Fox News. They know that they won’t fact check. Their supporters just take them at their word. In their world, everything they are told by McCain and Palin is the GOSPEL TRUTH. 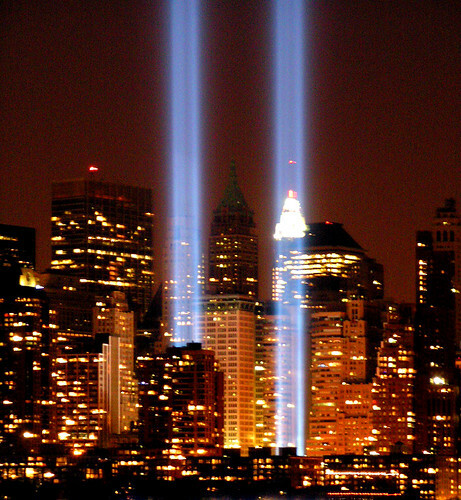 I am part of a community on line that has been brought together by an unpolitical commonality. We do discuss politics, however, and not one republican will touch on two key hypocritical points of the McCain/Palin ticket; no matter how eloquently the facts are laid out before them. One, is the “unpatriotic” nature of the Palin’s for being associated with a party that wants to secede from the rest of the US. The second is the fact that McCain has his own shady past, full of characters that he has had MUCH stronger ties to. Of late, the fact that a McCain supporter, and republican, is the one who put Obama and Ayers on that board together has also been ignored. Especially when I ask how they aren’t outraged that McCain would accept support from a woman who has “palled” around with a terrorist. In short, the republican party do not care one iota about facts and are full of hypocrites who want to distort the truth for their own political gain. They have frightened their constituents to death at the thought of Obama becoming president; an irrational fear that has been created by lies and slander promoted by both the McCain/Palin party and Fox News. NONE of their fear is even remotely rational. What they should be scared of is living out of a cardboard box when they turn 60 and their retirement fund isn’t there. McCain is CLUELESS about the economy and has admitted as much. His answer for everything is a commission. I never thought I would see McCain stoop to Karl Rove style politics, but he has. I feel that his character is so far in the toilet that, upon his death, this is one of the things he will be most remembered for. I guess he’s no real hero after all. This is even funnier the second time around… So you can hear the parts you missed when you were laughing your bum off. I’m sure that, by now, everyone has seen Tina Fey’s masterful “reenactment” of the Palin/Couric interview from Saturday nights SNL. I simply MUST call it a reenactment due to the fact that much of it didn’t even have to be written. 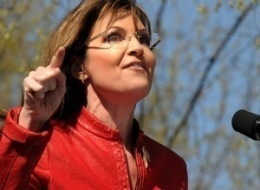 Most of the “verbage” (as Palin would call it) was lifted straight from Palin’s lips and delivered straight to Tina’s. Meanwhile, the McCain camp is continuing their line of attack on the “biased liberal media” for daring to hold them accountable for anything that comes out of their mouths. They’ve now added the phrase “gotcha journalism” to their repertoire of campaign vocabulary; which seems to include any question that Palin does not know how to properly answer. How convenient. So, let’s see if we have this straight… A young man asked her a question she didn’t fully understand because she was in a pizza place at the time? Let’s examine what she actually said, shall we? 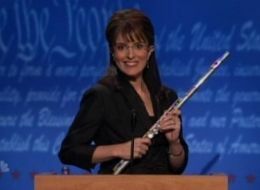 “If that’s what we have to do stop the terrorists from coming any further in, absolutely, we should,“ Palin responded, before moving on to greet other voters. Where exactly does the breakdown in communication occur?? Is it that she hears words differently if she is otherwise engaged in… ya know, buying food? Is it even safe to say that, at the VERY least, she knew that they were talking about Afghanistan and Pakistan? Maybe it’s that she thought perhaps he meant in some fictional world where there is a place called Afghanistan and Pakistan and that he clearly didn’t mean THE Afghanistan and Pakistan? Straight talk express, my eye.